Industrial visit was carried out at MTNL (Mahanagar Telephone Nigam Ltd.) ITTM, Shadipur, New Delhi on 5th September, 2017 especially for ISF MAIT Members by ISF MAIT. The goal of the industrial visit was to achieve better understanding and practical exposure of Mobile Communications Systems. Mahanagar Telephone Nigam Limited (MTNL) is a state-owned telecommunications service provider in the metro cities of Mumbai and NewDelhi in India.MTNL provides fixed line telephones, cellular connection of both GSM Dolphin (Postpaid) and Trump(prepaid) and CDMA—Garuda-FW And Garuda-Mobile and internet services through dialup and Broadband internet-TriBand. Total of 35 students were part of this industrial visit. Everyone gathered at entrance gate of MTNL ITTM Building including faculty members.We were further assisted by MTNL Staff. All the students were seated in presentation room,where Senior Manager Mr. Khanna had a introductory talk with all the students about working of MTNL.Then we were taught about the GSM(Global System for Mobile communication),types of antenna’s and there applications. After this all the students were taken to a lab for showcasing an In building solution for network connectivity . Second lecture was taken in a round table conference room where we were taught about Optical fibrecable,broadband connectivity ,switching.After the lecture everyone was taken to switching unit and broadband unit where actual working of these units were shown. 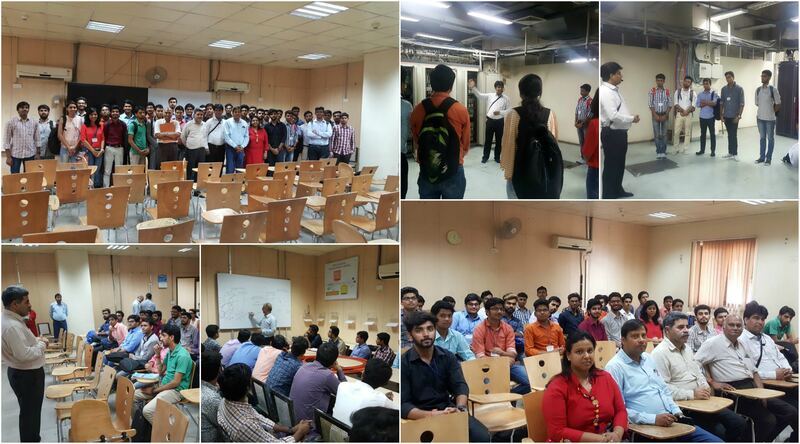 We took almost 3 hours to see various units at MTNL ITTM which was followed by questions/feedback of students. We appreciate staff member who guided students with each and every question with detailed answers. We would like to extend our gratitude to company for permission and support they gave to make our visit a success with accomplishment of objective and our Faculty members Ms.Anubha, P. K. Sinha for arranging this visit for student.